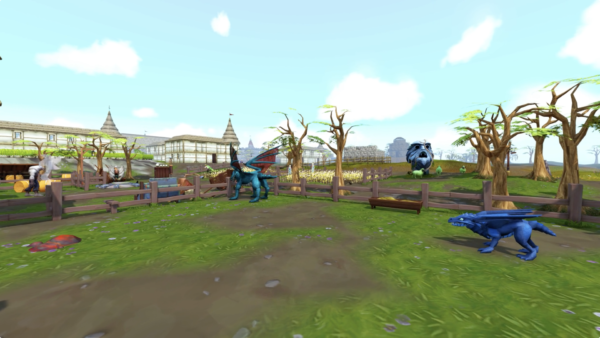 The Player Owned Farm is set to become RuneScape’s headlining update for September 2018. Farming was released in July 2005, I remember that day, as well as the mystery of the new skill. Over time skill releases and updates have become less mysterious to suit the growing and evolving player base. 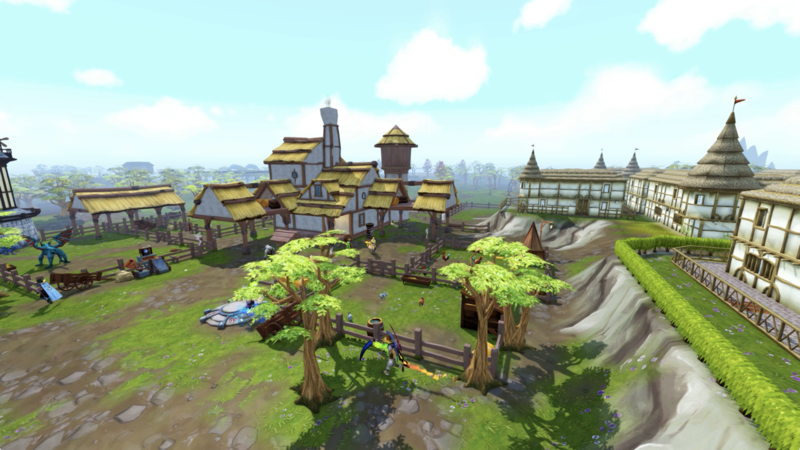 The Player Owned Farm brings back that feeling of mystery and intrigue to what is RuneScape’s most unique skill. Since 2005 Farming has consisted of tying together wood and fruit tree runs with the occasional calquat or spirit tree thrown in. Supplemental experience could be earned from watermelons. Later on the combat types found Warbands, running into the wilderness to retrieve totems of Farming experience. The unique aspect of the Farming skill is that for the most part the player puts the seed or sapling in the ground, goes away, and then comes back later for more experience. This is Farming and this is what made it truly unique content for skilling in RuneScape. The Player Owned Farm proudly continues this tradition and owns it. 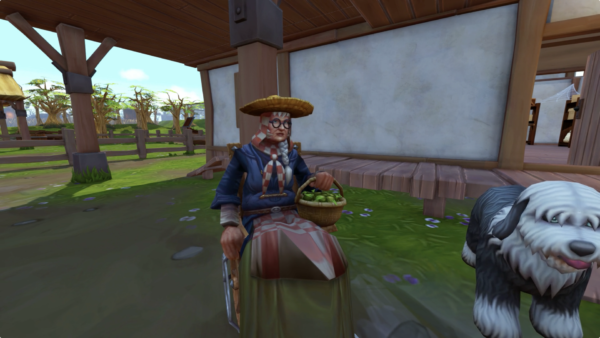 Upon starting with the Player Owned Farm, the player will start with a pair of rabbits. These rabbits form the basis of the tutorial that teaches the player about traits, when to sell, and how to breed animals. Each animal can have up to three traits that affect a variety of characteristics. The RuneScape Wiki has an exhaustive trait list as well as lists for selling and breeding. Animals can also be sold to roving merchants who will appear looking for the animals you have. Sell at adolescent phase for the best bean rate. A male and accompanying female can be plopped into the breeding pen and later you’ll have a new baby animal of your chosen species. The Player Owned Farm brings the original mystique of Farming back by raising the questions of: what is optimal, what is best for me, and do I go slow or fast? When Farming was first released we had no idea how long trees would take to grow, we had no idea this week how long or how much XP dragons would give. If I choose I can optimize my farm for bean output or I can optimize for experience or I can optimize for produce given (i.e. dragon hides, fungi, etc,) or I can optimize my breeding to try to achieve shiny animals or elusive traits. The trend here that wasn’t known on day one is that the Player Owned Farm plays exactly how the player wants to, but they need to make that decision. Animals can have traits that optimize the amount they’re sold for (Fortunate & Lucky). They can also have traits that optimize the amount of produce given (Producer). 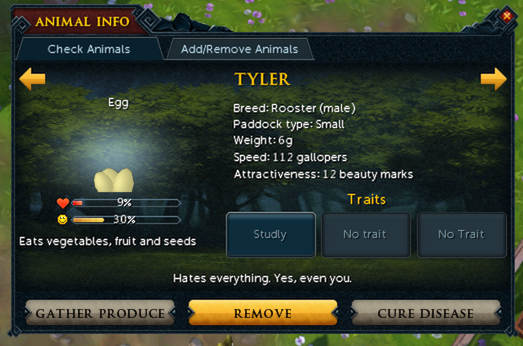 Animals can also have traits that increase the amount XP given when harvested (Giver). This means that if you’re going for the Master Farmer title you’ll likely want to breed a lineage of dragons, zygomites, and chinchompas that have some combination of Fortunate and Lucky. This will take time but at the end of the day it comes down to choosing your own optimization path. You may also choose to split your path by focusing half on experience and half on beans. Currently we only have one breeding pen but this may change soon and if it does, we could be in a potential situation where multiple dragon offspring are bred per day. If this were to happen and continue daily, a player would be in a situation where they’re netting at least 300,000 experience from the Player Owned Farm. This also has interesting ramifications for bean gathering as the singular title costs 250,000 beans. At the end of the day optimization will factor into how the Player Owned Farm plays out and it’s entirely up to the player what that path will involve. The Player Owned Farm was criticized in the first couple of days because it wasn’t immediately clear what was best. With Deep Sea Fishing you would go to Sailfish for the most gp per hour earned or fish frenzy for the best experience rates. There was also concern that the illusive Completionist cape was locked behind several music unlocks. The music tracks are unlockable with the seasonaliser wheel purchasable for 5,000 beans. Most of the early rush was to net the necessary beans to unlock the seasonaliser and this turned the Player Owned Farm into a combat update. Black Dragons were hovering at roughly 40 million gp earned per hour. Araxxor spiked to about 100 million gp per hour. Why? Combat creatures drop eggs. Eggs are of course necessary for most creatures: chinchompas, spiders, yaks, and dragons. While this made obtaining creatures like dragons and spiders cost prohibitive for most, it had a net positive of shining the light on the Farming skill across all RuneScape player types. We’ve talked numerous times on the podcast about the 2018 success story that Jagex has been writing (for the most part). This has of course centred mainly around clue scrolls, Deep Sea Fishing, Safecracking, and Elite Dungeons but now we can add the Player Owned Farm to this list. All of these updates have provided a solid foundation with many choices for players. The Player Owned Farm continues this as it maintains the core of the Farming skill but modernizes it, brings all players in (yes, even if it was due to the completionist cape and expensive PvM drops), provides new training methods and rewards, and tops it off with a choice cherry on top. Overall this update has increased my engagement with the Farming skill, a skill I interact with daily, and has ignited the spark that got me going on Farming back in 2005. We’ll have full analysis of XP, bean, and animal optimization on this weeks RSBANDBUpdate! which you can find here. And on that farm we had an update that sparks passion no matter the season.